Its rooms are pet-friendly and non-smoking, its style is cool and chic. 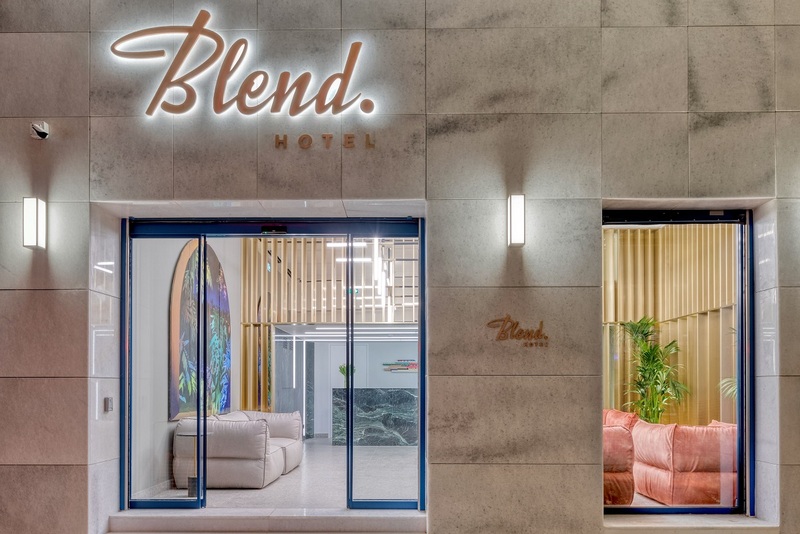 Blend Hotel in Athens is now open and ready to cater to the needs of the most demanding city traveler. 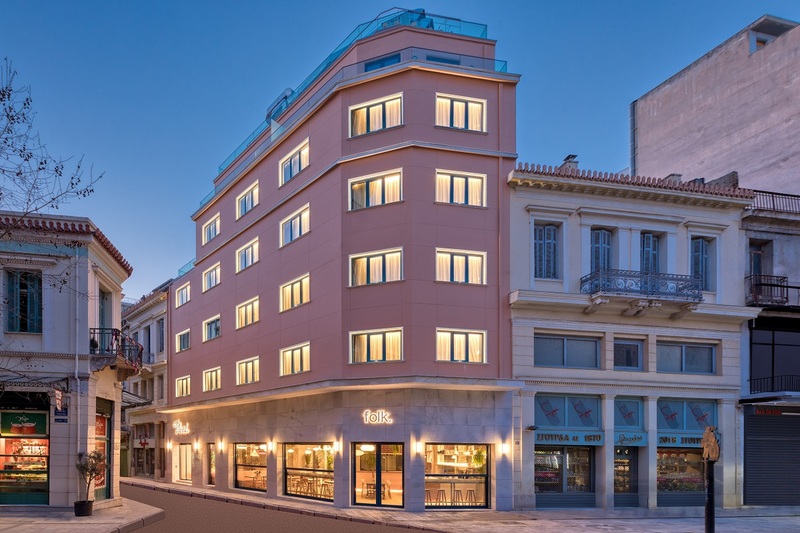 Located on central Eolou and Vyssis sts, 5-star Βlend Hotel, a HOTELCO project, aims to provide visitors with the best quality hospitality while bringing the hottest Athens city life has to offer to your doorstep. The hotel is housed in a renovated building dating back to the 19th century where Greek chocolate company Pavlidis served its first hot chocolate to Athenians in 1852. 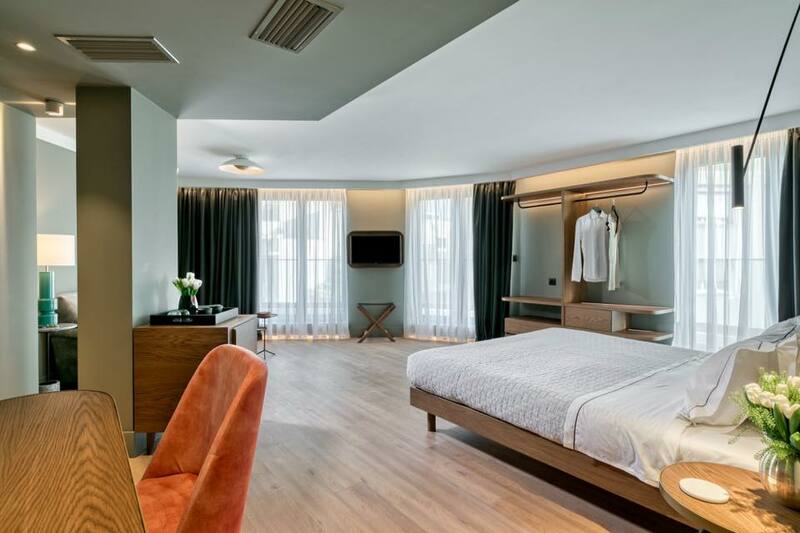 The rooms have been jointly designed by architect Alexandros Athanasiadis and Aeter Architects, who retained the building’s interior intact, adding a subtle combination of pink and blue hues to emphasize the hotel’s feel-good character while adding a modernist twist with retro touches. The hotel’s 24 Blendrooms and suites, equipped with designer items and the latest in accommodation and facilities, offer wonderful Athens city views to Lycabettus and Filopappou hills, the Acropolis and the Parthenon. All rooms are pet-friendly, non-smoking, sound-proof, and air-conditioned, offering free WiFi and smart TV. Disability access is available, children’s couches, and a business center. To hotel’ s restaurant – Folk – designed in a playful and cozy urban style by Different Beast complete with views to the ‘urban jungle’ offers innovative cuisine fusing healthy West Coast tastes with the finest Greek ingredients.